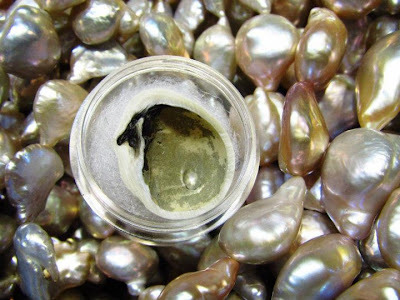 pearlbuzz: Soufflé Pearls: Frail Necks of the World, Rejoice! Soufflé Pearls: Frail Necks of the World, Rejoice! 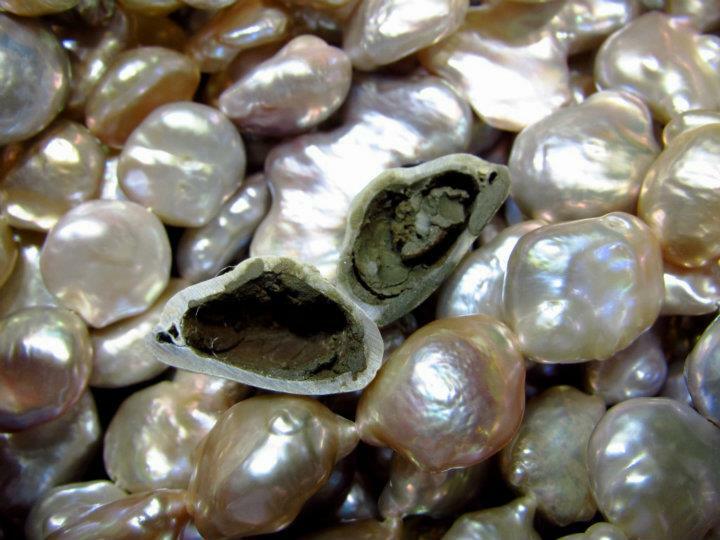 Do you love big pearls for their size but not so fond of their weight? Innovation in Chinese freshwater pearls has led to cultivating soufflé pearls that are large and hollow inside. Good or bad idea? Soufflé pearls were introduced for the first time in 2009. They are created by inserting small clumps of mud into the freshwater pearl mussels. The mud is collected from pearling ponds and dried in the sun before the insertion. 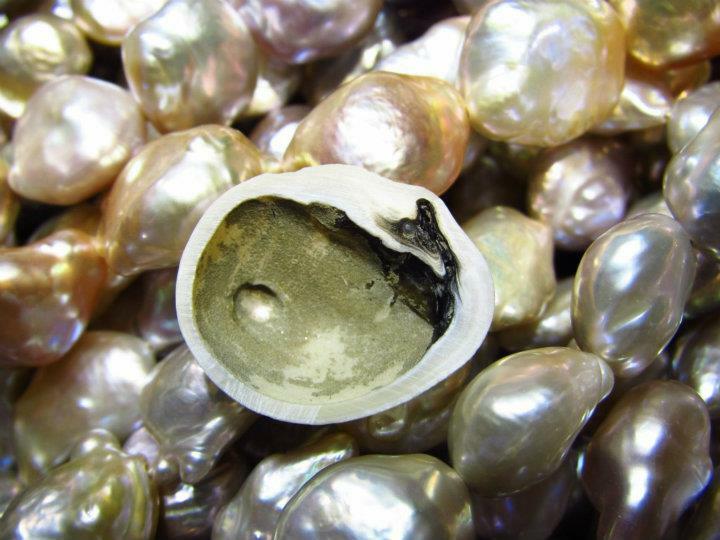 The pearl grows around this muddy sphere and produces beautiful range of colors from white, bronze and silver to shades of green, purple, or peach. Their nacre is thick and lustrous, with many pearls exhibiting extreme iridescence, that play of colors in the light makes the pearls looks different from different angles and under different lights. Elements present in the muck nuclei, including metal oxides, are indicated by experts as the possible cause of the intense colors.